eCongress News is a monthly email newsletter aimed at congress players of all levels. 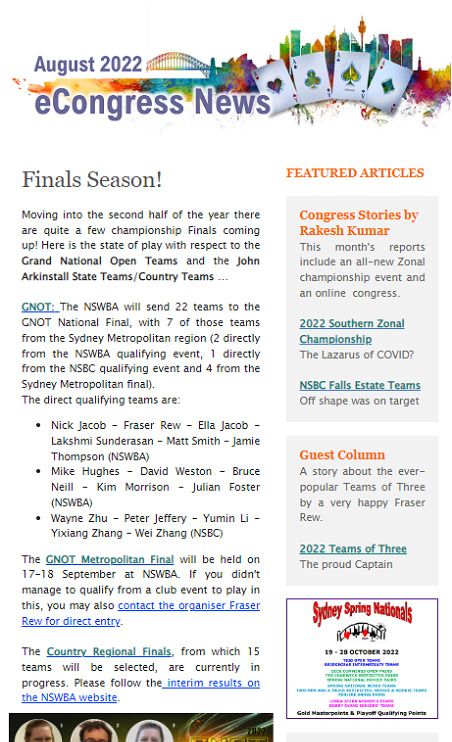 Players can also sign up for NSWBA News to receive regular email updates about events at the NSWBA. 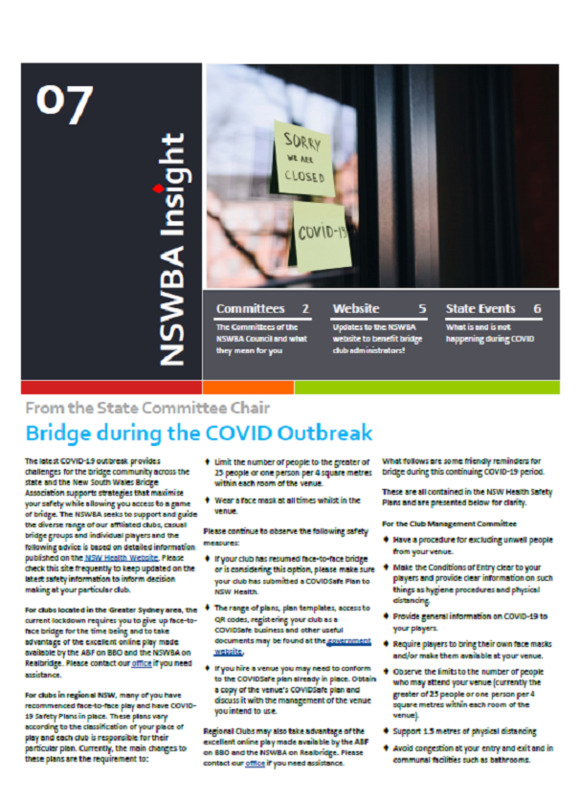 Insight is a newsletter aimed at those involved in administering a bridge club. It is sent to each affiliated club. 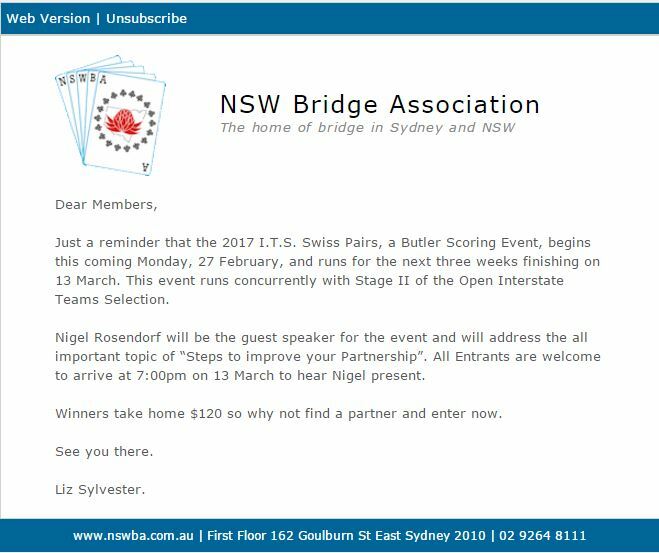 Contact the NSWBA office if your club has not received a copy. It has no formal distribution frequency but is expected to be issued roughly quarterly. 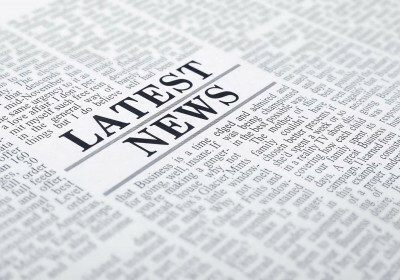 The NSWBA Newsroom includes News releases, News clipping and a Gallery.